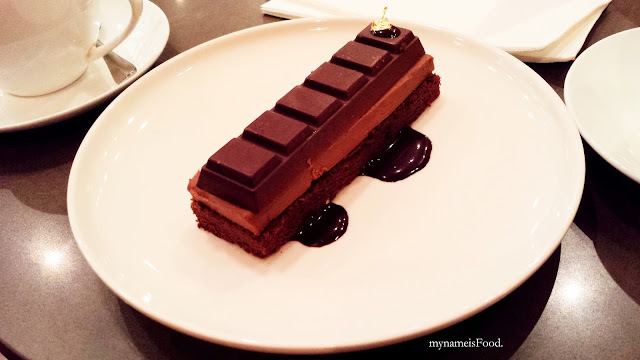 Koko Black, Royal Arcade, Bourke St, Melbourne CBD - my name is Food. 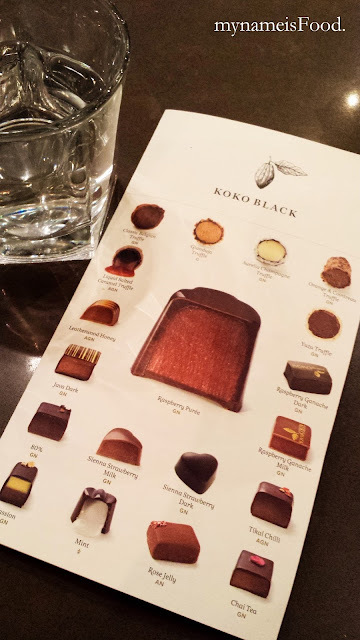 Koko Black in Royal Arcade, Melbourne may just be one of the sweetest chocolate cafes I would have been in. The arcade itself is filled with many boutiques and cafes. This post may be abit outdated since it was last year when I came but I didn't have the time and yes, again, I lost a few of the pics somewhere and all I could find was these ones so I might as well write a bit about it and will write more when I visit again. I'm pretty sure some of the cakes has changed now since then but some are still the same. Chocolate Alchemy Cake ($10.5) is Koko's signature chocolate cake layered with Madagsacan chocolate creme and crunchy chocolate soil. It was one of the best cakes they have on offer to be honest. It was not too sweet and every bit and layer of the cake had its own distinct taste and texture. The use of chocolate soil was unique and although you couldn't see it right on top of the plate at first, but when you open the top milk chocolate layer, the chocolate soil is on top of the chocolate creme. Although I may not have the pictures of the beverages we bought, but we had 'Hot Chocolate' ($6.5) and 'Coffee' ($3.9). Their coffee was a flat price allowing you to order any coffee style you prefer which I have to say is a great idea to have on a menu instead of having various prices for various coffee styles. As for their hot chocolate, it is freshly brewed to a traditional Belgian recipe in your choice of flavours of Classic Belgian, Chilli, Mocha or Cinammon.